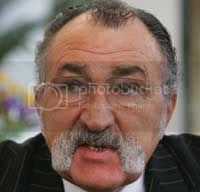 Ion Tiriac was born on May 9, 1939 in Brasov, Romania. He is a Romanian former tennis player, businessman and one of Romania's wealthiest people. He attended the Physics Culture Institute in Bucharest and received the Order of Work class I.Between 1964 and 1972 he was an ice hockey player and a tennis player. After that he was a coach, manager and promoter. He was coach and manager of Ilie Nastase, Guillermo Villas, Henri Lecomte, Boris Becker, Mary Joe Fernandez, Anke Huber and Goran Ivanisevici.He is the manager and promoter of opens like Eurocard Open, Austrian Open, Italian Open, Faber Grand Prix and Open Romania.As a business man he has lots of important businesses all over the world. The investments he had done in Romania are bigger than 50 million dollars. He is a president at Tiriac Holdings Ltd which is formed of many Romanian independent societies.He is also the founder of Child’s House in Brasov, a house where are over 100 abandoned children.As a tennis man he played in over 150 games in Davis Cup, won over 40 international titles, 9 titles as Romanian champion and as a ice hockey player he participated at the Winter Olympic Games in Innsbruck 1964.In 1970 he won the men's doubles at the French Open his mate was Ilie Nastase, another famous Romanian tennis player. - He has houses in Monte Carlo and Bucharest and spends most of his time there. - He speaks fluently English, French, Italian, German and Spanish. - Since 1996 he got the license of the BCR Open Romania. - His profession is one of a teacher. - His fortune is estimated at over 900 million $. Self Filmography :- Nacht der Stars, Die (1996) (TV)- "Wetten, dass..?" (1 episode, 1989)- The French (1982)- Players (1979).